As CEO and President, Mark leads the vision and direction of Network Control. He has been an active steward in the telecommunications management marketplace since 1987 and is recognized as a pioneer in the TEM industry, having started one of the first software based TEM companies. As a former President and CEO of two successful Consulting and Telecommunications Expense Software companies, Mark brings a wealth of institutional knowledge and domain expertise to Network Control, dating back to the divestiture of the Bell Companies and through the genesis of today’s TEM Market. His passion for exceeding customers’ expectations, drive to do best at all cost, and determination to make a difference in people’s lives is what has molded Network Control to be a leader in the Telecom Outsourcing marketplace. As a keynote speaker at industry trade shows, he maintains a keen sense of the marketplace while driving to achieve customer satisfaction is his key motivation. 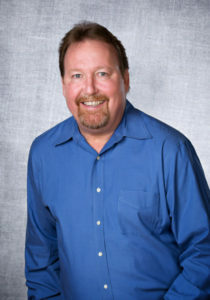 Mark has a Bachelor’s Degree from St. Mary’s College of California and resides on the Board of Trustees at the Charles Armstrong School in Belmont, CA, and is the Board President of ETMA (Enterprise Technology Management Association) and a member of ITFMA (Information Technology Expense Management Association). He is also active in his community and is on the Church Council at Saint Mathew Church. He resides in Walnut Creek, CA with his wife Susanne and loves to spend time with their three grown “children” and wagging tail friend “Shasta”. As Chief Strategy Officer for the company, Tanya Seda is charged with aligning technology development and corporate strategy to enable Network Control to anticipate, shape, and lead vendor market changes. With her deep expertise in leading complex, domestic and global telecom and IT procurement and transformation projects traversing multiple geographical regions, technologies, and vendors, she is uniquely positioned to keep Network Control at the forefront of innovative services. Crucial to our leadership position in the industry is Tanya’s expertise in a range of network transport and related IT services, managed and outsourced service models, and enterprise IT procurements and negotiations. Many of Tanya’s recent projects have involved the large-scale deployment of new technologies, IT outsourcing, and the development of ICB business cases for the transformation of clients’ network and IT services and technologies. Tanya has deep domain knowledge of the critical tasks required to develop and implement technology and procurement strategies, write RFx documents, bench marketing assessments and inventory, model the Total Cost of Ownership of complex bids, and lead negotiations with vendors. She combines forensic analysis and negotiations with vendors to gain maximum benefit for clients. Tanya has experience sitting on both sides of the negotiation table and has led the negotiations for some of the most complex enterprise telecom and IT transactions. Prior to joining Network Control, Tanya was CEO/President of Ruby Communications, a Telecom Audit and Expense Management firm. 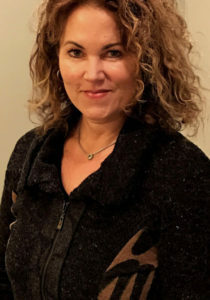 In both companies she was in charge of overseeing all of the company’s marketing, sales enablement, communications, and technology alliances activities, she was also responsible for Corporate Development and New Ventures, which focused on M&A, new business development, and the integration of acquisitions as well as investments and the incubation of new businesses. As Director of Operations, Tonya is responsible for building and sustaining an infrastructure that allows the company to achieve its service and growth goals. She is a wonderful listener and is extremely good at reviewing all the options and facts before making a decision, assuring the client’s needs are always the first priority. 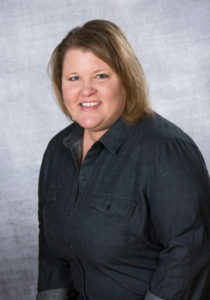 Tonya has been with Network Control since 2002. Her astute knowledge of billing systems, human resources, and customer requirements makes her a key differentiator for the company. Tonya has two children and loves watching their soccer and volleyball games. Laura is co-founder of Network Control and has more than 20 years of experience in the telecom expense management industry. 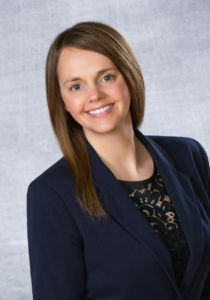 Laura has an extensive background in customer relations and developing policies and procedures that govern customer correspondence, which continually generate 98.5% customer satisfaction ratings. She also has a vast knowledge and understanding of auditing, provisioning, and cost reduction of both wireless and wireline services. Her team is responsible for all ordering, installation, bill processing, auditing, dispute management, and reporting analytics. Laura attended Metro State University in Minneapolis-St. Paul and lives in Waverly with her four children, and is often seen at soccer games cheering on the kids’ teams. As Manager for all wireless devices: (Cellular, Smartphones, iPad and Internet/Wi-Fi Cards), Kendra manages a team of experts in today’s rapidly evolving changing industry. Direct and to-the-point, Kendra holds nothing back when trying to get carriers or vendors to recognize that the customer’s satisfaction is the priority, and she will push through the layers of bureaucracy to get things done. She joined Network Control with years of experience in the Call Center & Help Desk environment, supporting clients such as Alcoa, Acura, Porsche, and Panasonic. She is versatile in her business knowledge, service, and support skills, and is a very detailed-oriented manager. 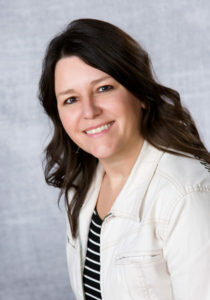 Kendra attended the University of Northern Iowa majoring in Elementary Education and she joined Network Control in 2004. Kendra lives in Waverly with her husband, three children, several dogs, horses, pigs, and any other creatures found in the barn.